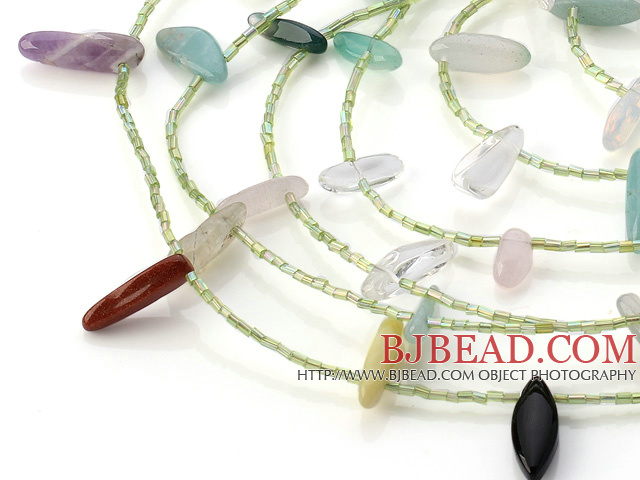 handmade jewelry and other jewelry with necklace, bracelet,earrings and more. 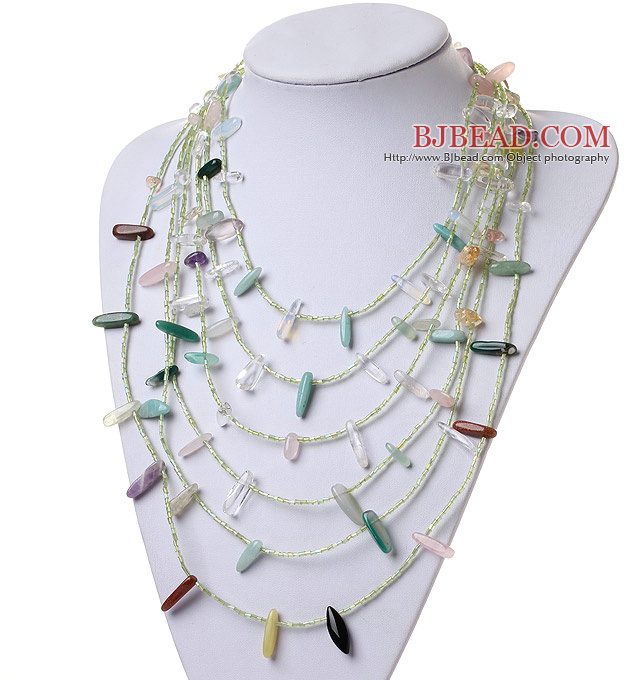 You can find the best price on Fashion Multi Strand Crystal Aventurine Rose Quartz Citrine Chips Gemstone Necklace,We will match any competitor's price for the same quality of Fashion Multi Strand Crystal Aventurine Rose Quartz Citrine Chips Gemstone Necklace!!! 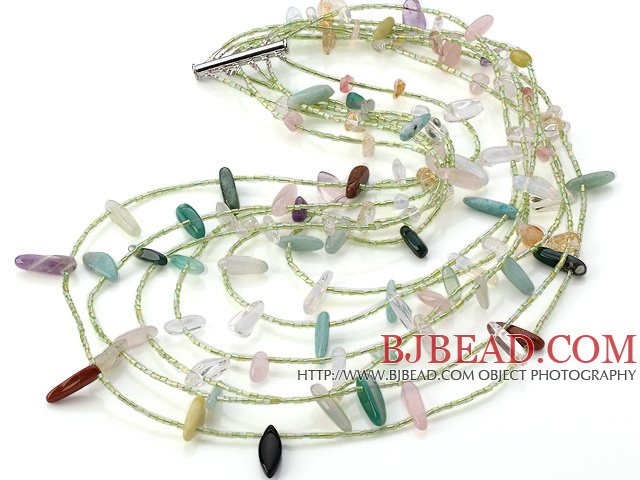 Welcome to buy Fashion Multi Strand Crystal Aventurine Rose Quartz Citrine Chips Gemstone Necklace from Bjbead.com!! Our company has signed agreement with DHL--international transport company, which help us deliver goods quickly with more preferential price to lower transport cost for our costumers. Under normal circumstances, bjbead proudly ships worldwide with DHL within 2-4 business days Encountered with festivals, vacation or force majeure, the transportation period may be a litter longer. The merchandises are delivered in special container provided by DHL. Furthermore, we usually put some plastic bubbles inside the parcel to keep the jewelry steady, waterproof and crushproof. You can track the shipment via the web(http://www.dhl.com) and get the additional information by 800 free telephones. PayPal lets you send payments quickly and securely online using a credit card or bank account. If you prefer Visa or MasterCard, please register for online payment function at the website of Western Union. Direct transfer from your bank to our account of Bank of China , Beijing Branch.We recommend this option for larger orders. As we are very confident with our fine jewelry, you can return your order within 7 business days from the date when you receive you order for a refund or exchange if you are not completely satisfied with our products for any reason.